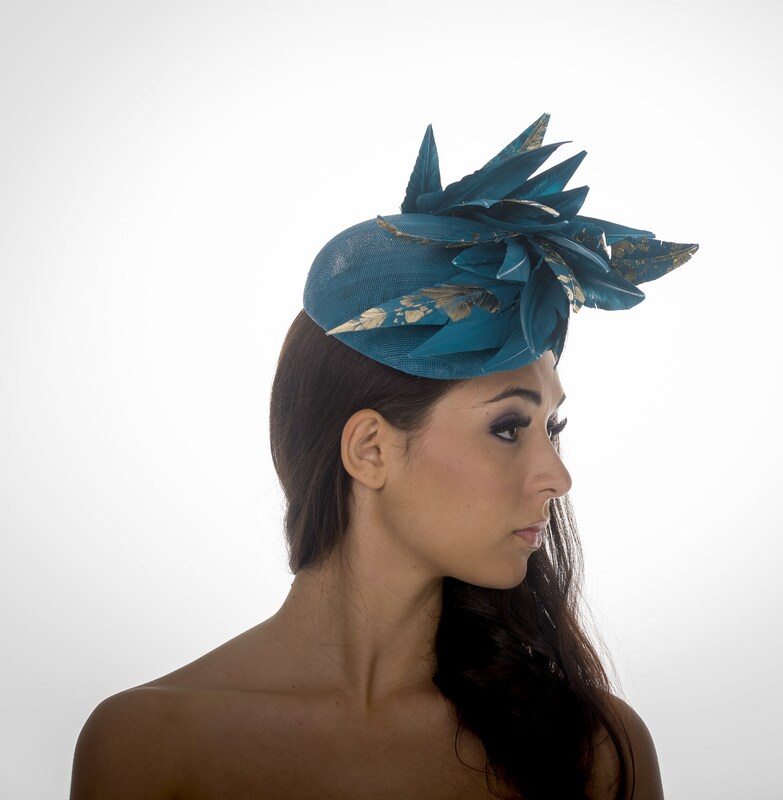 sinamay pillbox with cut goose feathers with a leafing detail. 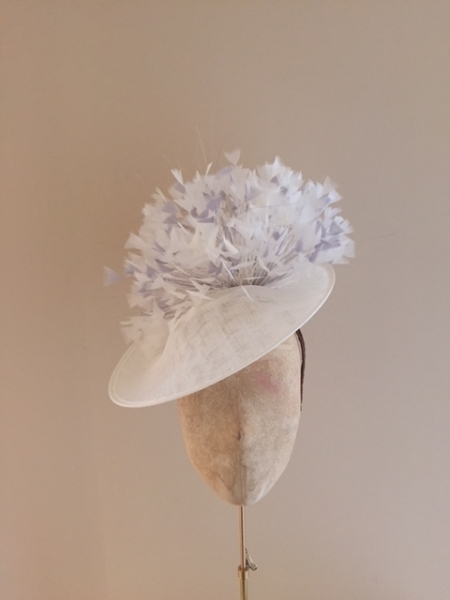 This pillbox hat has a sinamay cap trimmed in cut goose feathers with a choice of gold, silver or bronze leaf detail made on elastic or a band. 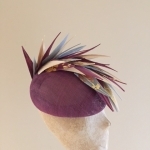 This hat can be made to sit either to the right or left hand side of the head. When ordering simply select a colour from the dropdown menu. 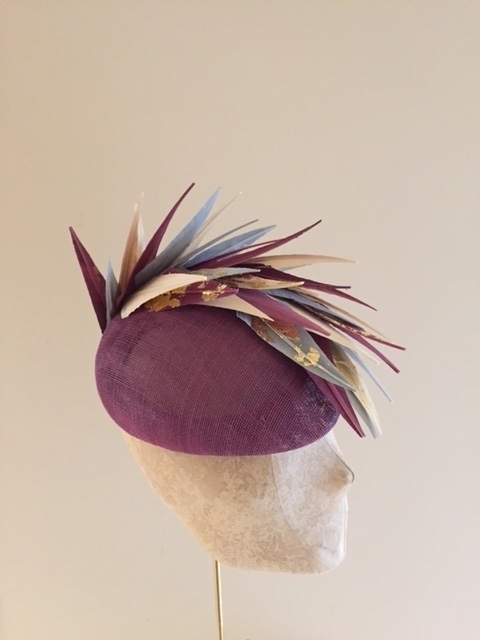 All of our products come in a large variety of colours, we are happy to send colour samples and email/text additional pictures of any featured products.